Tired of soy to replace meat in your vegetarian meals? Try these incredibly simple tips for using meaty vegetables instead! This year Im celebrating an anniversary. Ten years ago I said goodbye to meat. I then proceeded to play with concepts of pescatarianism (no meat except for fish), veganism, vegetarianism and occasional fasting and detox. I find that Ive been more or less definitionless the past 5 years or so, settling into a balance of just eating mostly whole foods and generally paying close attention to what I put in my mouth. I still refrain from most meats with the exception of fish a few times a month. In a decade of being generally vegetarian I have learned a few tricks of the trade. My favorite is how to use vegetables to replace meat in common dishes like spaghetti, chili and stews. Its important to utilize vegetables instead of meat replacement products because these products often contain extra preservatives and additives to make them taste like meat (aka they have 8 million ingredients and defeat the purpose of a healthier lifestyle). Here in short are a few of my suggestions for veggies that are just as satisfying as meat ingredients. Filling and teaming with vitamin A, these delicious guys are perfect for making vegetarian tacos. Just dice (1/2 inch cubes) and season with cumin, paprika, chili powder, salt and garlic powder and toss into a pan of hot olive oil. To soften add a few tablespoons of broth or stock and cover with a lid for 10 minutes or so on medium high heat and you have a simple homemade veggie ground. In my world eggplant is the meat of vegetables. Its diverse (comes in all kinds of shapes and colors depending on what region it derives from) and can be cooked in dozens of different ways. 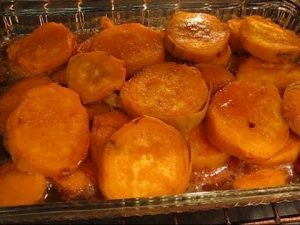 You can cut it thick, bread it and bake or fry in oil, you can hollow it out, stuff it and roast it, you can chop it and add it to Italian dishes in replace of ground beef or turkey. My tip: always buy organic and cook within a few days to capture its freshest taste. 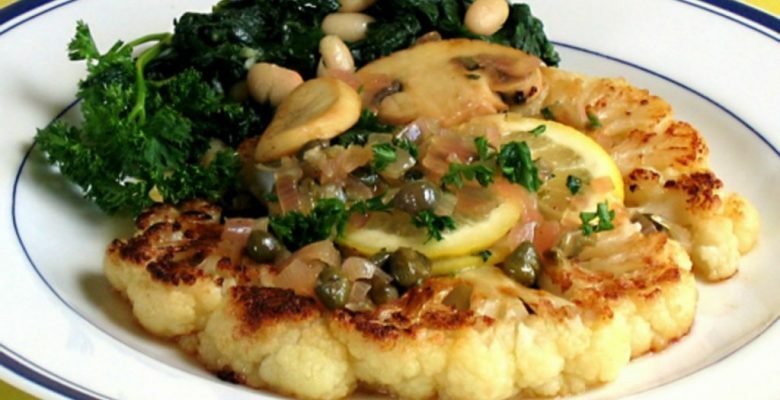 Cauliflower is a kind of starchy vegetable. It absorbs spices very easily and can be used in literally every dish you can imagine. Its great sautéed as well as crispy and raw. I love to slice it into thin wide pieces, toss it with olive oil, salt and a little sugar and broil it until it caramelizes. Its also delicious as a pizza topping AND can be steamed and mashed like potatoes YUM. Thats right! Sub a pound of ground for a cup of quinoa. Cook with stock and add cumin (a very hearty spice) and ta-da! Use to stuff bell peppers, burritos or add to soups and stews. Its a great way to hefty-up a vegetarian dish when you want more than just something to munch on. The best part? Quinoa is a superfood! Its packed with protein, iron and vitamin B-6 (a fat burning nutrient)! Sho did! I kind of cant add an egg to a dish without saying that out loud in my kitchen. My husband and I mutually agree that adding a fried egg to anything makes it immediately more fantastic. You can also add scrambled egg to stir fry, or take a beautiful fresh salad and add two halves of a boiled egg to the side. Of course these are organic, cage free egg, right? Mmmmmmmmm.. Seriously. If you have not yet explored the endless possibilities of the banana family please pay attention! Bananas arent just a cereal topper and a healthy snack with its own ziploc bag. I add bananas to top sautéed veggies, salads and on the side of any lunch Im about to dig into. Why? Because potassium baby! Not to mention its like natures very own candy with its sweet delicious self. Looking for an easy side dish? 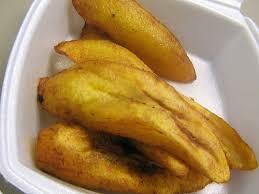 Fry a plantain (make sure its over-ripe) and dust with sea salt. Chop up some mango and mix with cilantro and garlic for a quick dipping sauce. Try this recipe for stuffed plantains that scored me a trophy at my family cook-off. Add your favorite meat replacements in the comments below!